With an indoor swimming pool, sauna and free Wi-Fi, Henry VIII is a short walk from Hyde Park, Kensington Gardens and Paddington Train Station. The cozy Henry VIII has a bar and serves a buffet breakfast in the mornings. Customers can enjoy a wide variety of restaurants, pubs, movie theaters, and tourist attractions just few minutes away. The building is also accessible from 5 different Underground (subway) stations, including Paddington and Queensway, from which guests can travel across London. Oxford Street and Harrods, on Brompton Road, are 2 miles away. Kensington Palace, the Victoria & Albert Museum and the Royal Albert Hall are all nearby. Enjoying a prime location within the Royal Borough of Kensington and Chelsea, Park International Hotel offers comfortable rooms and elegant Victorian architecture. Gloucester Road Underground Station is a short walk away. All of the air-conditioned rooms have satellite TV, a comfortable bed and an individual private bathroom. An inclusive continental and English buffet breakfast is provided. The bar at Park International has a large-screen TV. The staff is friendly and welcoming, and Wi-Fi is available throughout the building. The Park International is a 20 minute walk from many leading London attractions, including the Victoria and Albert Museum, Hyde Park and some of the city`s most exclusive shopping areas. Harrods is also around a 20 minute walk away. This 4-star luxury hotel is just a 5-minute walk from the shops of Oxford Street and Bond Street London Underground (subway) Station. It has stylish air-conditioned rooms, free Wi-Fi, and an award-winning restaurant. The Mandeville Hotel is in the fashionable Marylebone Village, in the heart of London’s West End. The many theaters, shops and art galleries available are only a short walk away. The modern rooms have safes and flat-screen TVs. Marble private bathrooms have showers, Etro toiletries and telephones. Reform Social and Grill serves breakfast, weekend brunch, lunch and afternoon tea as well as dinner, using the finest ingredients sourced from around the British Isles. The bar has a cocktail list which includes a list of British classics made with spirits distilled in the UK, from both established brands and small, artisan producers. Offering free Wi-Fi and continental breakfasts, Sara Hotel is just 1000 ft from Earl's Court Exhibition Centre. Earl’s Court Underground (subway) Station is a 10-minute walk away. The traditional bedrooms at Sara Hotel each have a private shower room. Rooms also feature a hairdryer and TV, and ironing facilities are also available. Continental breakfasts are served daily in the spacious dining room, including fresh coffee, fruit juices and cereals. There is a great range of international restaurants just a short walk away. Just a 10-minute walk from the famous Cromwell Road, The Sara Hotel is a 15-minute walk from the lively Kensington High Street. Hyde Park is only 1.5 miles away. The St Athans Hotel is a family-run, simple and clean property. In central London, it is within walking distance of the British Museum, the University of London and the New British Library. St Athans has rooms with shared bathrooms in Bloomsbury, an area once home to writers Charles Dickens and Virginia Woolf. This individually styled hotel is within several Georgian townhouses (Grade II heritage-listed status), with interesting original features. There is free Wi-Fi in public areas, and a lounge area for guests to relax in. St Athans is a short bus ride from the West End, with its many shops, theaters and Madame Tussauds. Guests have the option of cooked or Continental breakfasts served in the hotel's Bloomsbury Coffee House with 10% discount. This stylish 4-star hotel is 0.3 miles from South Kensington London subway station. Free Wi-Fi and a 24-hour bar are available, and discounts for guests are offered at a local gym. On a quiet street in Chelsea, myhotel Chelsea is 0.3 miles from the shops on King’s Road. The Natural History Museum is a 10 minute walk away. The Victorian building mixes traditional English character with modern style. The rooms have a minibar, a work desk, and Rituals or Gilchrist & Soames toiletries. Guests can also enjoy a flat-screen TV and a DVD player. The hotel’s bar offers cocktails and modern cuisine, made with fresh, seasonal produce. There is also 24-hour room service available to guests. Guests can relax in the library, a peaceful area with books, hot and cold drinks, and fresh fruit. It also offers computers with internet access. 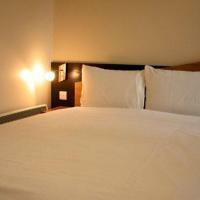 Next to Earls Court Underground Station, the Windsor House Hotel offers budget rooms. Earl’s Court Exhibition Centre is a 5-minute walk away, and Stamford Bridge, home of Chelsea FC, is a 15-minute walk from the hotel. Hyde Park can be reached in a 20-minute walk from the hotel, and the Natural History Museum and Victoria and Albert Museum are also both a 20-minute walk away. The shops of Knightsbridge are a 15-minute walk away. Rooms at the Windsor House Hotel all include a TV, ironing facilities, and a telephone. On the grounds, there is a patio, and guests also have use of shared kitchen facilities. Tea and coffee facilities are available in the lobby. In the heart of Bloomsbury, this unique 4-star designer hotel is just a 5-minute walk from Goodge Street and Tottenham Court Road Underground Stations. Free Wi-Fi is available in all areas of the hotel. The stylish rooms at myhotel Bloomsbury all have an LCD flat-screen TV and a mix of vintage and designer furniture. There is also room service for guests to enjoy. GAIL’s Kitchen makes tasty food from its bread oven, and is open to myhotel guests for breakfast, lunch and dinner until midnight each day (10:30 pm on Sundays). The hotel also has a jinja treatment room to enjoy, with massage facilities and a variety of soothing treatments. Covent Garden and Oxford Circus can both be reached in around a 15-minute walk. There are a range of shops, restaurants and theaters within walking distance of the building. Kings Cross, Euston and St Pancras rail stations can all be reached within a 20-minute walk. Situated on lively Piccadilly, overlooking Green Park, The Park Lane Hotel features an impressive restaurant and a modern fitness center. With private parking and Wi-Fi access, there is also a stylish bar. The large, elegant rooms have private bathrooms and interactive flat-screen TVs with satellite channels. Rooms also offer free toiletries, designer beds and ample work space, and some rooms have original fireplaces and marble bathrooms. The Italian Citrus Restaurant features a summer terrace, and serves traditional Italian cuisine. The Palm Court Bar has an impressive arched roof and offers a selection of beverages, snacks and afternoon teas. Just a short walk from fashionable Bond Street and Knightsbridge, The Park Lane Hotel is a 20 minute walk from London’s West End. Green Park subway station is a 5-minute walk and Piccadilly Circus is 10 minutes away. Featuring exquisite luxury beside Hyde Park and Kensington Gardens, the elegant Baglioni Hotel London with spa is close to the Royal Albert Hall, famous museums and Kensington High Street. The prestigious hotel overlooks Kensington Gardens and boasts views of Kensington Palace. Its fabulous interiors are bright, peaceful and stylish and echo Baglioni's Italian flair. A personal butler service is available on all floors, and guest rooms feature 5-star facilities including free music and movies for your room's interactive plasma TV screen. Facing Kensington Gardens The Brunello Lounge and Restaurant features a reworking of Mediterranean cuisine. Many ingredients are delivered fresh from Italy, conserving their original aromas and flavors. The wine list has around 500 labels including a precious vertical collection of Sassicaia wines. Around a 10-minute walk from 2 Tube (subway) Stations and half a mile from The Oval cricket ground, Comfort Inn SW8 offers rooms with private bathrooms. It has a 24-hour front desk and is 1.5 miles from Westminster. The Inn is a 10-minute Tube ride from Waterloo and the South Bank, via the Oval Tube station. The West End is a 15-minute Tube ride, and there are restaurants within 650 ft of the property. All of the Inn’s simple rooms have a TV and telephone, with a hairdryer and shower in the bathroom. Free tea and coffee is included and Wi-Fi access and ironing facilities can be provided upon request. The hotel’s air conditioned lounge and lobby bar offers a place to unwind and relax over a drink. Continental breakfasts can be purchased each morning, and airport transportation are available for an extra fee. The Hilton London Metropole has a modern health club, a Thai restaurant and stylish rooms. The hotel is a 15-minute walk from Oxford Street, and just 1970 ft from Paddington Train Station. The rooms at Hilton Metropole have interactive TVs with internet access. All rooms feature a private bathroom with free toiletries, tea/coffee facilities and air conditioning. Minako Restaurant serves Asian-fusion cuisine, and has impressive views of London’s skyline. There is also a coffee shop and lounge bar, and the stylish Fiamma Restaurant offers an international menu. The LivingWell Health Club features an indoor swimming pool, sauna, steam room and sports shop. There is also a fully equipped gym, and an on-site hair and beauty salon with treatment rooms. Hilton London Metropole is a 2-minute walk from Edgware Road Subway Station. Madame Tussauds is a 15-minute walk away, and leafy Hyde Park is just half a mile away. This 5-star hotel in the heart of Knightsbridge is just next door to Harvey Nichols and Hyde Park, and a short walk from Harrods and other designer stores. It features award-winning dining and stunning views of London. The building’s circular tower design ensures that each of the 280 luxury rooms has impressive views of London's skyline. All rooms feature an iPod dock and a TV with on-demand movies and internet access. Recognized for their expertise of the destination, the hotel head concierge and his team are on hand to help uncover the unexplored treasures of Knightsbridge and beyond. Headed by chef Pascal Proyart, the hotel’s One-O-One restaurant has been voted ‘Best Fish Restaurant’ by Harden's Guide, and features a Sustainable Fish Menu. The Park Tower Knightsbridge also showcases a bar inspired by British members clubs, serving whiskeys and cigars in a refined setting. The newly refurbished Hilton London Islington hotel is in the heart of fashionable Islington, this sleek, contemporary hotel is a 5-minute walk from Angel Tube (subway) station. Relax in a stylish, elegantly-furnished guest room or suite with modern amenities and new decor. Catch up with work at the desk, or relax watching on-demand movies on the 42-inch flat-screen TV. Some rooms have city views and there is 24-hour room service for guests to enjoy. Open for breakfast, lunch, and dinner, Axis Bar and Kitchen restaurant serves locally and internationally inspired cuisine. It has chic designed with floor-to-ceiling windows. The chic Axis Bar is split over 2 levels, and has a varied drinks menu. Hilton London Islington is just a 5-minute drive or short Tube ride from the St. Pancras International Eurostar terminal and Kings Cross Train Station. Fashionable Islington has many boutique theaters and restaurants within a 5-minute walk of the property. This stylish 4-star hotel is 320 yards from Canary Wharf London Underground Station and one Tube (subway) stop from the O2 Arena. It has modern, air-conditioned rooms, a gym, free Wi-Fi in public areas, and a restaurant and bar. Rooms at The Hilton Canary Wharf all have a mini-bar, hairdryer, and a flat-screen TV with on-demand movies. Executive rooms include use of the 14th floor Executive Lounge overlooking so many of the famous London landmarks. The lounge includes complimentary continental breakfast, coffee/tea, evening canapés and drinks. The stylish Cinnamon Bar & Restaurant serves modern international cuisine, drinks and cocktails. The Hilton also has 24-hour room service, a sauna, a steam room and a 24-hour business center. There is a footbridge across to the London Underground (subway) station, which also gives guests easy access to the shops and restaurants of Canary Wharf. This 4-star hotel looks out over the Thames River to Canary Wharf. It has air-conditioned rooms and an indoor pool. Hilton London Docklands’ stylish, modern rooms include a TV with satellite channels, video games, and an individual private bathroom. Some rooms also offer views of the river or city. With a quiet riverside location, the O2 arena is less than 2 miles away. There is a ferry across the river to Canary Wharf and the Thames Clipper waterbus stop. The Terrace Restaurant has river views and serves international and traditional British food. The Terrace Lounge offers cocktails and has a flat-screen TV. The outside terrace is next to the water. There is a 24-hour business center, 24-hour room service and a gym, hot tub and sauna. The 4-star NH Kensington has an elegant Victorian façade and a stylish interior. It offers free Wi-Fi and is 5 minutes’ walk from Earl's Court Underground Station and Earl's Court Exhibition Centre. NH Kensington offers sleek, contemporary rooms, with satellite TV, individual private bathrooms and a unique shower relaxing system. Some rooms have a spacious separate seating area. There is a range of dining options at the hotel including The Garden Lounge Bar, with a charming terrace, serving a menu of modern European cuisine. Guests may also relax in Huntingdon's Restaurant and the Lounge Cocktail Bar. Local attractions Kensington Palace, Hyde Park, Kensington Museums and the Royal Albert Hall are all just a few minutes’ by taxi. The fashionable shops of Kensington High Street are just a 5-minute walk away. This 5-star Knightsbridge hotel has a spa, pool and gym. It is close to Hyde Park, Harrods and the designer shops of Sloane Street. Jumeirah Carlton Tower is a luxurious, elegant hotel with 3 restaurants. Bedrooms have 24-hour room service, free Wi-Fi, and bathrobes. Buckingham Palace is about half a mile from the Carlton Tower. The Victoria & Albert Museum and Knightsbridge Tube Station are within walking distance. Peak Health Club & Spa has panoramic views out over London and features a golf simulator, spa tub, sauna, steam rooms and a 66 ft indoor pool. In exclusive Belgravia, this luxury 5-star hotel offers a sophisticated bar and free Wi-Fi, a short walk from Harvey Nichols. Tube (subway) stations are a 5-minute walk away. Each stylish room and suite at Jumeirah Lowndes has luxurious beds and satellite TV. Some rooms have an iPod dock and a sumptuous sitting area. Guests have free access to The Peak Health Club and Spa, located across the road at a sister property. Modern British cuisine is served at Lowndes Bar & Kitchen. For open-air dining, Terrace Restaurant opens from May to September, and has an international grill menu and food platters to share. Victoria Station is a 10-minute walk away, offering access to the Gatwick Express airport service. This bright, clean and friendly hotel is just a few minutes’ walk from the Oval Cricket Ground and Tube (subway) station. Good-value rooms each have a flat-screen TV and private bathroom. Modern rooms at the Belgrave Hotel each feature satellite TV, a telephone, radio and tea/coffee facilities. Wireless internet is available, and there is on-site parking. The tourist attractions surrounding Westminster and Buckingham Palace are just a few stops on the Tube (subway) away. Waterloo Train Station and the South Bank can be reached in a 10 minute Tube (subway) ride. In London’s cultural center, The Meininger is just a few hundred feet from the Natural History and Victoria and Albert Museums. Gloucester Road and South Kensington Tube (subway) stations are close by. Meininger Hotel London Hyde Park provides both private and shared rooms. Each room has hardwood floors and includes a TV and a private shower. Hyde Park and The Royal Albert Hall can be reached in just 10 minutes by foot, and Kensington Palace is just a 5 minutes further. 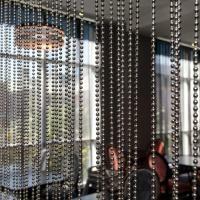 Hotel 55 is a boutique hotel just a 2 minute walk from North Ealing Tube Station. Stylish accommodations with free internet is 30 minutes from central London by subway. Each air-conditioned room at Hotel 55 features a king bed, flat-screen TV and a Nespresso Coffee Machine. They also include Crabtree & Evelyn toiletries and minibars. Momo Japanese Restaurant is located in the hotel and serves authentic Japanese cuisine. A continental breakfast is served daily, and guests can also enjoy a drink in the elegant 24-hour lounge bar. Wembley Stadium and Kew gardens are both a 3 miles from Hotel 55. The M4 is a 10 minute drive and there is limited parking available, on a first come first served basis. Just over a quarter mile from Wembley Stadium and a 10-minute walk from Wembley Arena, ibis Hotel has modern rooms, a traditional restaurant and lively sports bar. The cozy bedrooms have free Wi-Fi access and private bathrooms, and some have impressive city views. All rooms have tea/coffee facilities, a work desk, and a TV with satellite channels. The modern ibis London Wembley Hotel has a sit-down restaurant, serving a varied menu for evening dining. The bar features a large-screen TV, and snacks and drinks are available 24 hours. The Ibis London Wembley is in a great location, just a short tube (subway)-ride from Baker Street and Marylebone. Notting Hill is a 15-minute drive away, and highway M1 can be reached in a 10-minute drive. Just off of Trafalgar Square, in central London, this beautifully restored Victorian building has a 4-star luxury hotel with free Wi-Fi and elegant air-conditioned rooms. In London's West End, only yards from Nelson's Column, the Grand at Trafalgar Square is 200 yards from the National Gallery and the church of St. Martin-in-the-Fields. The hotel has a free health club, 24-hour room service and free chilled, bottled water. With high ceilings, original windows and period features, the rooms combine Victorian elegance with modern comforts, including luxury bedding. All rooms have an iPod dock, a work station, CD player and flat-screen, high-definition TV with satellite channels and pay-per-view movies. Boyd's is an elegant, contemporary English brasserie serving fine food in the middle of Italian décor and marble. Boyd's Bar is ideal for relaxed business gatherings and networking. The Rockwell is a sophisticated boutique hotel in South Kensington. Guests can experience cutting-edge design and modern English cuisine in the stylish garden restaurant, and make use of free Wi-Fi. The luxurious Rockwell is perfect for discovering London, starting with the museums on Cromwell Road. Earls Court Tube (subway) Station is a 5-minute walk away. Many public areas of the building retain their original features. The wrought-iron banisters and Victorian mosaic floor in the lobby area have been skilfully restored. Rooms are individually designed and air conditioned. In-room features include floor-to-ceiling Victorian windows, dressing gowns, and White Company lotions and soaps. Less than 1 mile from famous Wembley Stadium and Wembley Arena, this hotel has charming décor and a bar. Guests are just 3 minutes’ walk from the Tube. The Wembley Hotel is traditionally decorated, with the clean rooms each featuring a TV, tea/coffee and a private shower room with complimentary toiletries. Sports and music events held throughout the year at Wembley Stadium and Wembley Arena are 15 minutes’ walk from the hotel. A wide range of restaurants and bars can be found in the immediate area of the Wembley. Central London can be reached with a 30-minute Tube journey from nearby Wembley Central Station. Breakfast is served each morning in the classically decorated breakfast room. A small hotel bar serves drinks and snacks in the evening. Overlooking leafy parkland, this stylish and elegant 5-star hotel offers luxurious and contemporary rooms, suites and apartments, as well as a boutique spa. Opposite Royal Parks and Buckingham Palace, The Athenaeum is only a 15 minute walk from Oxford Street’s shopping and the theaters of the West End. Many of its spacious, air-conditioned rooms boast floor-to-ceiling windows. Each room features a flat-screen TV with pay-per-view movies, and free soft drinks and snacks from the mini-bar. Guests also have access to complimentary Wi-Fi. The beautiful, double AA Rosette restaurant offers fine dining and the cozy Whisky Bar has over 270 whiskeys for guests to enjoy. Award-winning afternoon teas are also served in The Garden Room. The spa offers relaxing treatments, a beautiful relaxation room, wet area, and a well equipped fitness room. Children eat for free at the hotel. Conveniently situated, Best Western London Higbury overlooks picturesque Finsbury Park and is a 5-minute walk from Finsbury Park Underground Station, providing excellent access to central London. All rooms are newly refurbished and well furnished, with private bathrooms and satellite TV. There is a relaxing hotel bar and a continental breakfast buffet is offered in the dining room in the morning. The hotel is just one mile from the Emirates Stadium, home of Arsenal FC, and has excellent access to Kings Cross Station via Finsbury Park tube (subway) station. Discreet, quiet and stylish, this boutique hotel in Marylebone is close to Baker Street and just half a mile from Regents Park. Elegant rooms have free Wi-Fi and luxury bathrooms. Montagu Place has a designer feel, with some rooms featuring free-standing baths, Molton Brown toiletries, and restored Georgian period features. Guests have easy access to public transportation, with 3 Tube (subway) Stations within a 10-minute walk, and Paddington Station less than a mile away. Hyde Park and the shops of Oxford Street can be reached with just a 10-minute walk. The intimate bar is open 24 hours, and in the morning, a continental breakfast buffet is served, with fresh croissants, coffee and other organic and Fairtrade items. Montagu Place’s guests enjoy special rates at a gym, just a short walk from the hotel. In a quiet, residential area of West London, Chiswick Court Hotel offers rooms with private bathrooms. Turnham Green Underground Station is 5 minutes’ walk away with access to central London. Each light, airy room features a TV. Continental breakfasts are served each day, including orange juice, tea/coffee, and toast. Heathrow Airport is just a 15-minute drive away, while the lovely Kew Royal Botanic Gardens are 5 minutes’ drive away. Turnham Green Station runs on the District line, and stop at both Victoria and Paddington Station. The 5-star Lord Milner features luxury Bed and Breakfast accommodations in the heart of fashionable Belgravia. With sumptuous rooms and free internet, it is a 5 minute walk from Victoria rail and underground stations. The elegant rooms each have a marble bathroom, sitting area and flat-screen LCD TV. Rooms also feature fine linens and luxury pocket-spring beds, and each has a unique style and themed décor. Traditional continental and English breakfasts featuring quality ingredients are freshly prepared each morning, and can be served to the room for an additional charge. On Ebury Street, the Lord Milner is a 10 minute walk from Buckingham Palace and Westminster Abbey can be reached in a 20 minute walk. In stylish Hampstead, 291 Suites offers modern accommodations with free Wi-Fi and air conditioning. West Hampstead Underground (subway) Station is just a 10-minute walk away. Each contemporary suite features a TV, work desk and refrigerator. All rooms have a personal safe and a luxurious bathroom with free toiletries and a hairdryer. The 291 Suites all feature bare hardwood floors and colorful modern art. Some rooms also feature a compact kitchenette with a microwave, kitchenware and a teakettle. In the heart of North West London, 291 Suites is just 1.5 miles from the famous Keats Museum. Madame Tussauds is within a 10-minute drive, and Wembley Arena is a 15-minute drive away. Situated in Imperial Wharf, a short ride to London’s major attractions and the fashionable King’s Road, Jurys Inn Chelsea offers a 24-hour reception, a bar, a restaurant and well-equipped bedrooms. The bedrooms all have their own bathroom, with toiletries and a hairdryer. Other facilities include flat-screen TVs and tea/coffee. The hotel is located within walking distance of Chelsea and Fulham Football Clubs. Imperial Wharf station is across from Jurys Inn Chelsea and Westfield shopping Center is only 8 minutes by train from the hotel. Every morning, a full English breakfast is served in the modern restaurant which also offers an international dinner menu at affordable prices. The bar serves lunch and snacks as well as coffee. Wi-Fi is available in the lobby and also provides services such as dry cleaning/laundry. Public parking is available close to the hotel. Fee applies. Just 1000 ft from King’s Cross Station, Melville Hotel has a 24-hour front desk and modern rooms with free Wi-Fi. The traditional hotel is a 20-minute walk from lively Camden. The stylish rooms each have a flat-screen TV and an iPod dock. All rooms feature a safe, tea/coffee facilities and a private modern bathroom with fluffy towels. Light continental breakfasts are served daily at a nearby partner hotel, including fresh coffee and a selection of cereals. There is also a fully equipped kitchen for self-catering guests. 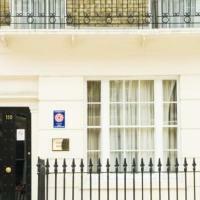 The Melville is in the heart of Bloomsbury, just a 15-minute walk from The British Museum. Lively Oxford Street is just over a mile away, and Theaterland is a 20-minute walk from the hotel. Just 550 yards from Tower Bridge, Premier Inn London City (Tower Hill) is a 5-minute walk from the Tower of London. The hotel has family-friendly rooms, a restaurant and coffee shop. The colorful, modern rooms at Premier Inn London City have private bathrooms with luxury power showers and free toiletries. Rooms also feature air conditioning and a work desk. A delicious all-you-can-eat breakfast is served daily, featuring traditional cooked items. The stylish lounge bar offers beverages and snacks, and the restaurant serves a varied lunch and evening menu. Situated in the heart of The City, Premier Inn Tower Hill is 20-minute walk from St Pauls’ Cathedral. Aldgate Subway Station is a 5-minute walk away, and lively South Bank is just a mile away. This Premier Inn hotel offers modern rooms close to Wembley Park Tube (subway) Station, a 5 minute walk from Wembley Stadium and Wembley Arena. Central London is a 12 minute Tube ride away. Private bathrooms in each air conditioned room feature a shower, bath and a hairdryer. There are also tea/coffee making facilities, a satellite TV and a telephone. The full all-you-can-eat breakfast offers a traditional cooked English breakfast, including vegetarian options, as well as a wide continental selection. Guests can enjoy hearty meals and late-night snacks in the refurbished Thyme Restaurant. There is also a 24-hour bar for guests. There are parking spaces across the road at Wembley Park London Tube Station. London City Hotel features modern accommodations next door to Borough Tube Station, and a 5-minute walk from London Bridge Train Station. Tower Bridge is a 10-minute walk away. A 24-hour front desk and express check-in/check-out are also available. It has modern, well furnished rooms, with a flat-screen TV and tea/coffee making facilities. Most of the rooms have a private bathroom with shower. Basic rooms have a sink in the room and a shared bathroom. Wi-Fi is available at a charge. Borough Market, The Globe Theatre, Tower Bridge and Tate Modern are all within a 10-minute walk, as well as The Shard. Waterloo Station can be reached in 3 minutes via tube (subway) from London Bridge Station. Guests can enjoy breakfast, including full English and continental options, at Cafe Riva, on the ground floor. A lunch menu is also available. The London City Hotel does not have an elevator. Ground floor rooms can be requested and are subject to availability. Just half a mile from Buckingham Palace, The Goring offers elegant rooms and gourmet cuisine. 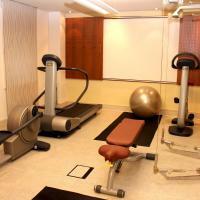 Guests have free fitness-club access, and many rooms overlook the large hotel grounds. Boutique shops in Sloane Square are a 5-minute taxi ride, and within 1.2 miles are the Tate Britain and the Houses of Parliament. Guests are less than a 5 minute walk from Victoria Station, giving easy access to public transportation. The 5-star Goring presents spacious rooms with luxury décor, each featuring a sitting area and a TV with movies on-demand. Many rooms also have a private terrace. Guests can enjoy fine dining in the hotel restaurant where the chef uses carefully selected British produce. There is a range of wines to sample on the terrace that overlooks the private grounds. 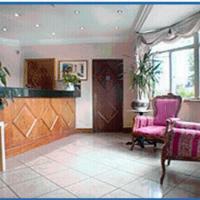 The Golders Green Hotel is in a quiet area, 765 yards from Golders Green London Underground (subway) Station. It has free Wi-Fi, free off-street parking and affordable rooms with private bathrooms. The Golders Green Hotel is in North London, a short walk from Hampstead Heath. There are shops, restaurants and bars a short walk away and Brent Cross Shopping Center is 1.5 miles from the hotel. Local and national buses run regularly from Golders Green Station to all of London's airports and all around the city. Central London is 15 minutes away by Tube. The rooms have TVs, telephones and hairdryers. Tea/coffee making facilities are available 24 hours a day in the dining room. 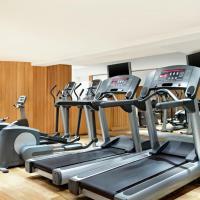 Opposite Hanger Lane Tube Station, this modern hotel offers free use of its gym and steam room. It is just 3 miles from London’s Wembley Stadium. Bedrooms at the stylish Crowne Plaza London Ealing are spacious and have air conditioning. Guests can also enjoy satellite TV, bathrobes and 24-hour room service. West 5 Brasserie and Bar is a relaxing space, with a 40-inch LCD TV for sports. The restaurant serves modern European cuisine and a buffet breakfast. Hanger Lane London Underground Station has excellent access to Central London and Westfield Shopping Centre via the Central Line. Hanger Hill Park is a few minutes’ walk away. The stylish Ashburn Hotel has boutique bedrooms with free Wi-Fi and turndown gifts. The hotel is on the famous Cromwell Road, just over a quarter mile from the Natural History Museum. The sumptuous rooms are elegantly decorated, and each has a luxury bathroom with fluffy robes and free toiletries. Rooms also feature a flat-screen TV and CD library, and all have air conditioning. Ashburn also has a wide range of apartments featuring elegant furniture, a full kitchen, a sitting area, and a private bathroom. A continental breakfast buffet is available free of charge and is served daily for the hotel guests. Classic cocktails and fine champagnes are served in the drawing room at the Ashburn. The Ashburn Hotel is a 10-minute walk from the glamorous shops of Knightsbridge. The leafy Hyde Park is half a mile away, and Gloucester Road Underground Station is just 320 yards away. In an elegant Georgian terrace, this boutique hotel offers modern rooms with free Wi-Fi. The 4-star Sumner Hotel is in the heart of stylish Marylebone, just 1700 ft from Hyde Park. With designer furniture and modern art, the luxury rooms at Sumner Hotel feature air conditioning and a flat-screen TV. All rooms have a private bathroom and a mini fridge with mineral water. A buffet breakfast is served daily in the colorful dining room, featuring fresh fruit and cooked options. Guests can enjoy drinks in the beautiful lounge, with its original fireplace and hardwood floors. The Sumner Hotel is just a 5-minute walk from Marble Arch and the end of lively Oxford Street. Glamorous Knightsbridge is a 20-minute walk away, and Madame Tussauds is a 15-minute walk away. 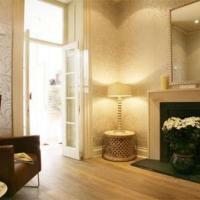 In exclusive Belgravia, this boutique guesthouse is half a mile from Victoria Station and the shops of Sloane Square. Stylish rooms are just one mile from Buckingham Palace and Wi-Fi is free for the first 30 minutes. These 2 attractive Georgian-style town houses feature air-conditioned rooms, each including a TV, a room safe and a bathroom with a hairdryer. Wireless internet access is available for an additional fee. Astors is within easy reach of the both the Gatwick Express Service and London Underground at Victoria Station. Hyde Park and the shopping at Harrods can be reached with a 15 minute walk. Guests can start their day of sightseeing and shopping in the local area with a delicious breakfast, served in the dining room.